Sealants - My Plantation Dentist - Heidi Finkelstein D.M.D. Dental sealants are coatings that go on the teeth, normally the back teeth, to prevent tooth decay. They are thin, plastic coatings that are "painted" over the teeth, and their main purpose is to protect grooves and depressions on the surface of the teeth. If you already have a healthy oral hygiene routine by brushing and flossing constantly, you may still not be getting to every crevice, especially in the back teeth. Sealants serve to protect those sensitive areas where food may get stuck and hard to remove. Sealants are more commonly used on children and teens, but can also be used on adults, depending on their overall tooth health. Ideally, children should get sealants on their molars and premolars as soon as they come in, this way they are protected through their high cavity prone years. It is common for molars to have pits and small fissures. Even if you have a healthy habit of brushing and flossing your teeth, those crevices may still be collecting bacteria and food residues that could lead to cavities and / or decay. Not exactly. Sealants are more commonly used on molars and premolars, as their shape naturally collects more food and are harder to clean. Sealants can last anywhere from two to five years. For this reason, it is recommended that they are used on children or teens during their highest cavity-prone years to help protect them. 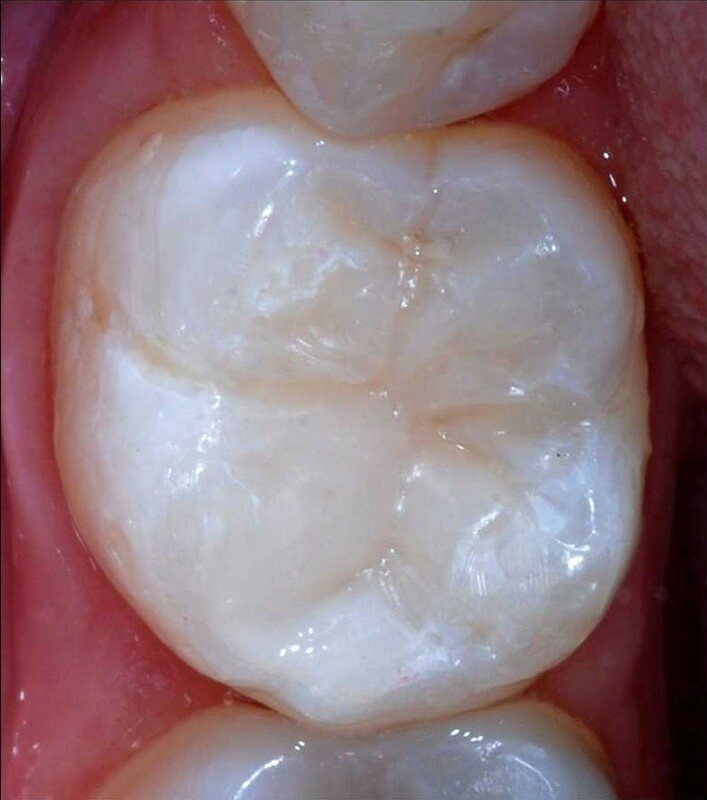 How can I prolong the life of my sealants? 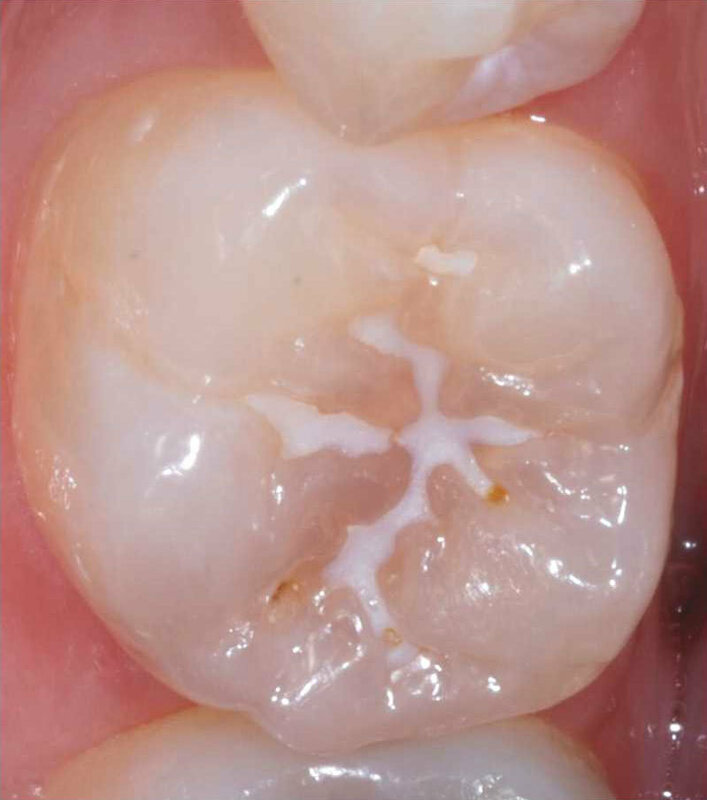 As with dental crowns, sealants are applied over the "chewing" area of the teeth, and are vulnerable to sticky or chewy foods, as they can become loose from the tooth. Hard foods should also be avoided, as they can crack the sealant and render it ineffective.